THRIVE Pearled Barley can be used to thicken and add texture to soups and stews, especially classics like beef barley soup. It provides generous amounts of both iron and dietary fiber, making it a healthy alternative to rice or pasta. 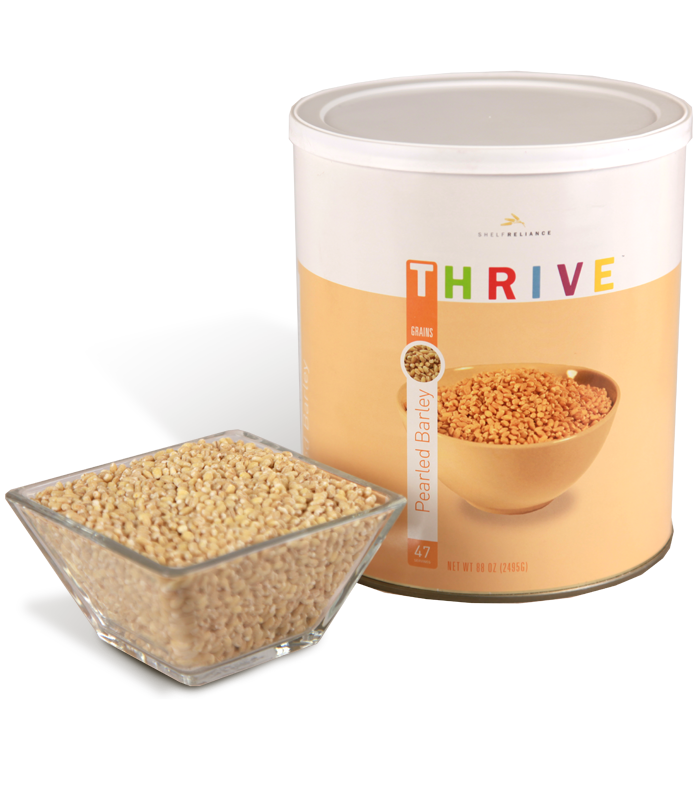 Trying using THRIVE Pearled Barley with vinaigrette dressing in cold salads or use it as a breakfast cereal with a bit of brown sugar. Boil 1 cup Pearled Barley in 2 1/2 cups water with 1/4 tsp. salt. Reduce heat to a simmer and cook covered until tender (about 45 minutes). Remove from heat and let stand 5 minutes before serving. This grain is a classic in beef and barley stew. It can be added ground or whole to pancakes, biscuits, and even stuffing. Use it as a filler in ground meat dishes.